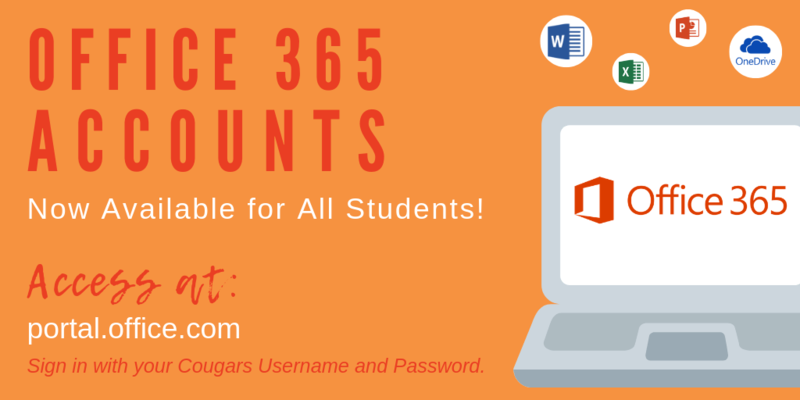 The Division of Information Technology is excited to announce that all students now have access to Office 365, by signing in with their Cougars username and password. Office 365 allows students to use applications like Word, Excel, PowerPoint, and more from anywhere, at any time, using any device with an Internet connection. View, edit, and save documents while on or off campus. Collaborate and share files with classmates from any device, making group assignments and projects easier. Install Office 365 products on up to five separate devices like your desktop, laptop, tablet, or cell phone. Save documents to OneDrive, cloud-based storage, in case your device is stolen, damaged, or infected with a virus. You have 1TB of space. Enter your Cougars username (in email address format username@g.cofc.edu) and password. Please note, student employees who have employee email, must use their employee email address (username@cofc.edu) to sign in, or they might receive an error message. Training videos for students to become more familiar with Office 365 applications are located on our YouTube channel at youtube.com. Contact the Helpdesk with questions or concerns by email helpdesk@cofc.edu, chat help.cofc.edu, or phone 843.953.3375. The Division of Information Technology needs your help transitioning all College-owned desktop and laptop computers to Windows 10 by June 2019, in order to comply with Microsoft’s phase out of Windows 7 support. 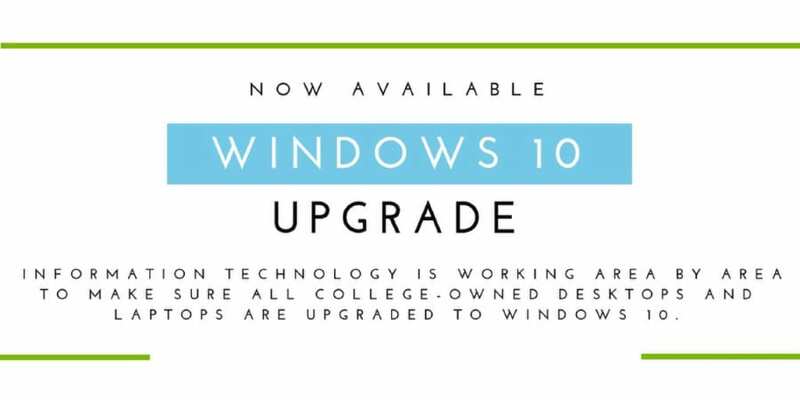 All classroom, lab, and student-area computers have already been upgraded to Windows 10. In addition, all new computers purchased and any computers reimaged are being loaded with Windows 10. IT is now working area by area to make sure College-owned desktops and laptops receive the upgrade. When the upgrade is ready for your department or office, Information Technology will email you with instructions. Contact the IT Helpdesk with questions or concerns by email helpdesk@cofc.edu, chat help.cofc.edu, or phone 843.953.3375. Information Technology has started a monthly projects newsletter that will highlight key projects in each issue. Use the link below to open the April 2019 issue in your browser. This issue includes updates on the following projects: Scholarship Management, School of Business Student Engagement and Development, Campus e-Learning Subscription, LiveSafe, Student Diversity Course, and Facilities Access Control. Over the next several months, the Division of Information Technology plans to launch multi-factor authentication (MFA) to faculty and staff, beginning with high-sensitivity offices such as Human Resources, the Registrar, and Finance. MFA adds a vital layer of security needed to protect your information and enhances the security of systems at the College from ever increasing instances of phishing attempts and password hacks. With MFA, even if a cybercriminal successfully steals your password, they won’t be able to log in to your account without your additional verification method. MFA is a two-step process, that requires users to enter their password (step 1) and then verify their identity using an additional method (step 2), when performing account sign-in transactions from off campus. Once MFA is enabled for your account, you must first set up at least two additional verification methods. Your options include the authenticator app, phone (text or call), or a personal non-CofC email address. YOU CAN OPT-IN NOW! If you would like MFA enabled for your account now, instead of waiting until your area is reached later this semester, submit a request to Information Technology at https://cofc.teamdynamix.com/TDClient/Requests/ServiceDet?ID=33298. Watch our introductory video, review instructions, and learn more about MFA at http://office365.cofc.edu/multi-factor-authentication/. Contact the Helpdesk with questions or concerns by email helpdesk@cofc.edu, chat help.cofc.edu, or phone 843.953.3375. Information Technology installed sapling synchronized and managed clocks in all 36 classrooms in Maybank Hall. The new solution will ensure that all classrooms have accurate time, while being easy to manage and proactively maintain. 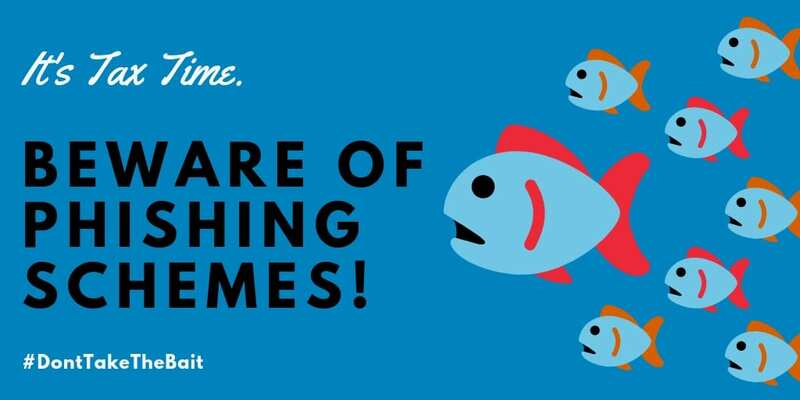 Beware of tax time phishing schemes! appear to come from tax professionals, tax software companies, or mirror IRS communications. The Information Technology Support Services Education Center Atrium location will be closed during spring break, from Friday, March 15 at 4:00 p.m. until Monday, March 25 at 9:00 a.m. If you require assistance, visit our other walk up desk locations in Bell Building 525 or Student Computing Support at the Addlestone Library Information Desk. The IT Helpdesk will be available via telephone, email, or chat during our normal business hours of Saturday and Sunday 2:00 p.m. – 10:00 p.m. and Monday through Friday 7:30 a.m. – 10:00 p.m.
[Project Update] Phase 1 of the Space Utilization Project was completed in February. 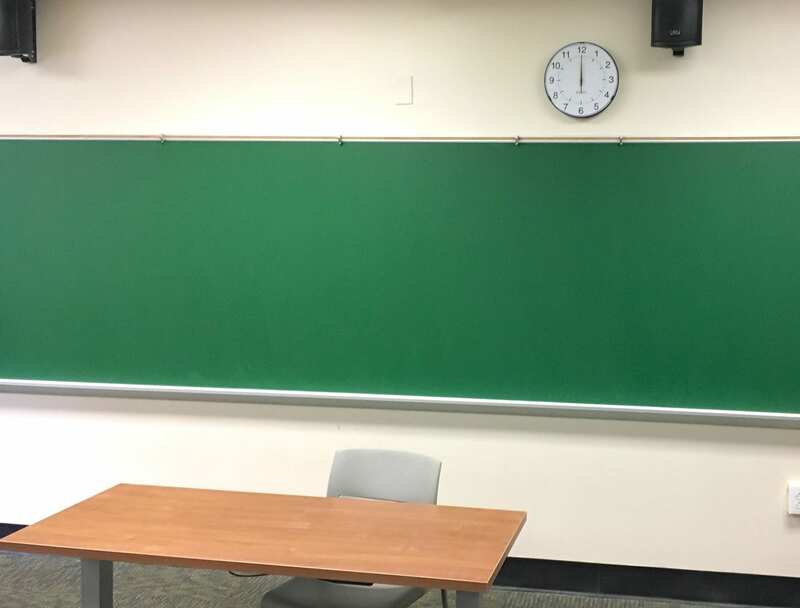 Beginning last summer, student workers surveyed all 518 available classrooms and meeting spaces operated by the College. They collected data on audio visual equipment, lights, door types, number of outlets, and even entered help tickets for Physical Plant and IT. Additionally, the team took pictures of each space including 360 degree photos, like this one, that could be used in the future to help the College make decisions on everything from use to construction.